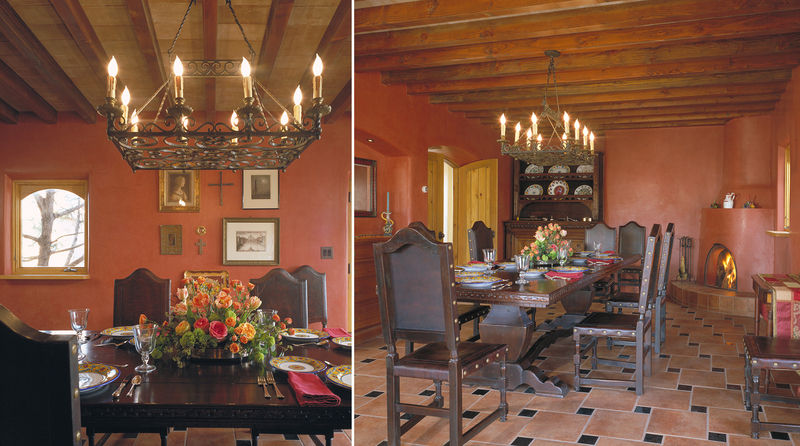 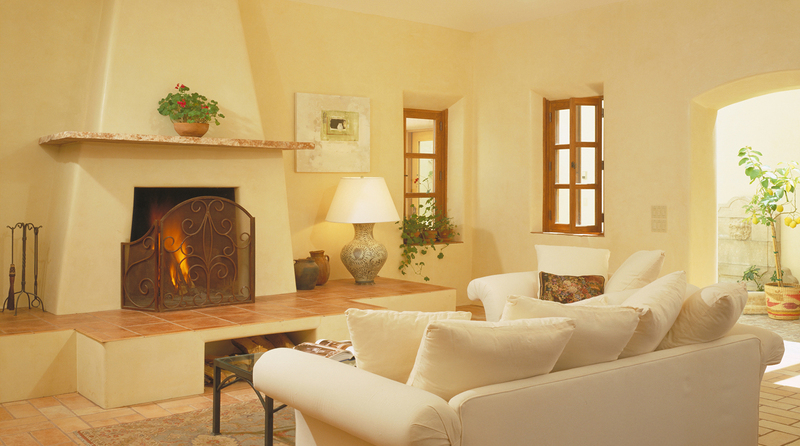 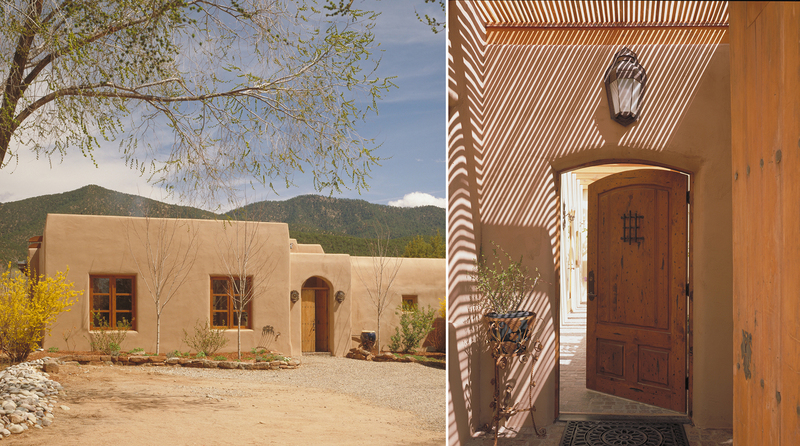 Our task with this addition and renovation was to create a cohesive whole to a property set amongst traditional old adobe homes with clarity of circulation for a home with disparate elements built over a long period of time. 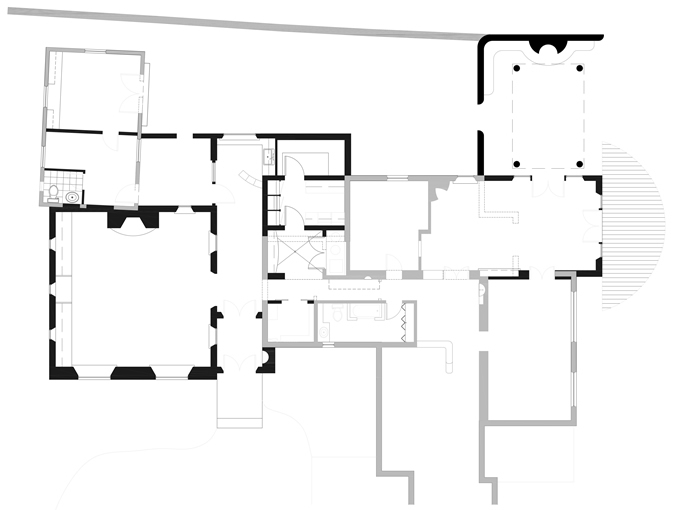 We placed the new family room next to an existing office and linked these two spaces to the main house via the new entry that is perceived as an outdoor room (gesturing to the memory that the area was once exterior space). 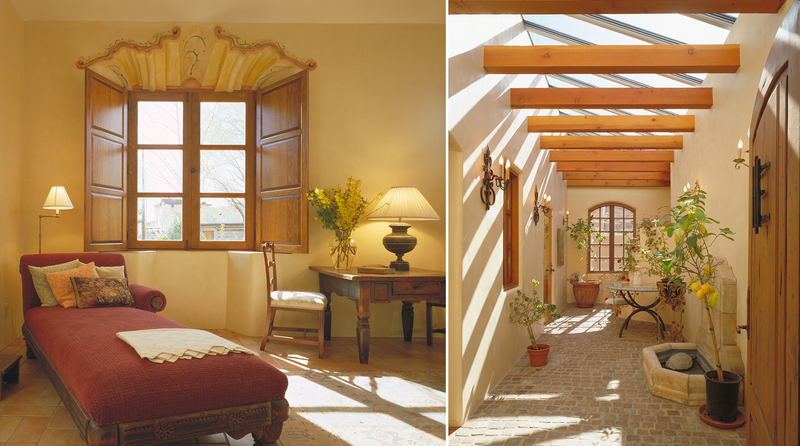 We intentionally blurred the distinction of indoor and outdoor space. 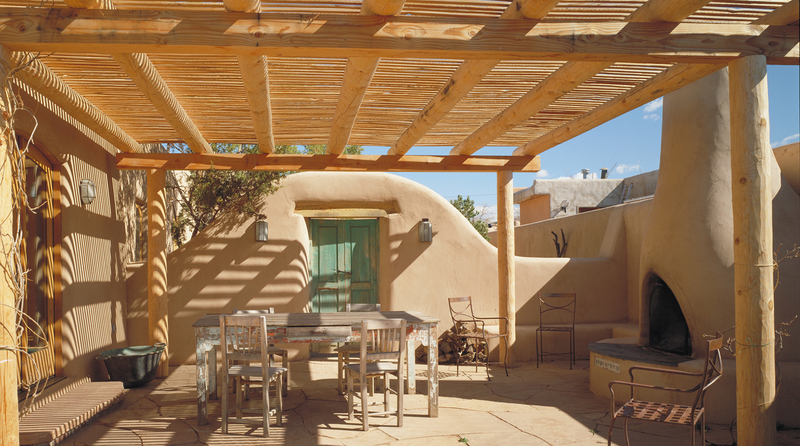 The addition (along with the existing structures) creates a casually defined auto court with a clearly articulated entry that is in keeping with the character of the historic neighborhood.